A large smiling Santa Claus is the central feature of this holiday paper, which also includes gifts and some pine. He is surrounded by a peppermint candy cane border and a woven black background. 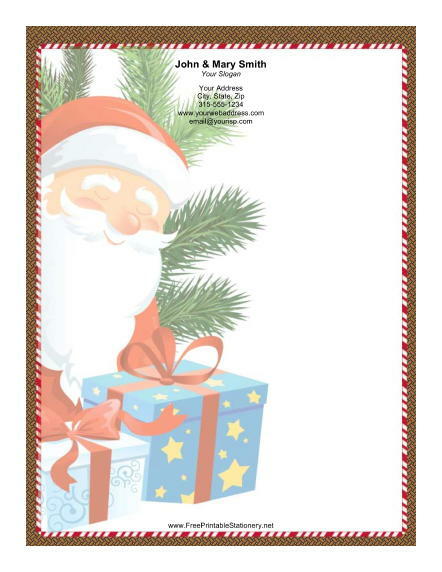 This charming holiday frame is the perfect letterhead for writing to family and friends around the holidays.